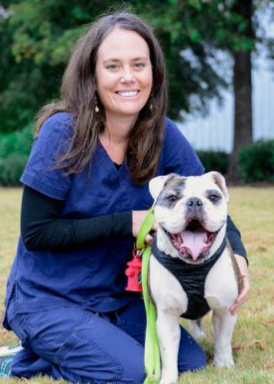 Dr. Cousins received her Doctorate of Veterinary Medicine from Texas A&M University in 2001. She completed a one-year rotating internship in small animal medicine and surgery at Washington State University Veterinary Teaching Hospital. Dr. Cousins then attended the University of Georgia where she completed a three-year residency in internal medicine and obtained a Master of Science in infectious disease in 2005. Dr. Cousins moved to the Upstate and has been working at Upstate Vet since she completed her residency. Her clinical interests include diagnosis and management of cardiac disease, ultrasound, immune-mediated disease, and chronic kidney disease. When not at work, Dr. Cousins enjoys spending time with her family, reading, and trying new food and cooking techniques.